Most motorized vehicles that do not qualify for a standard auto policy fall under the purview of specialty vehicle insurance. Specialty vehicles are typically licensed, but they may or may not be used on public roads. Examples include recreational vehicles, snowmobiles, golf carts, ATVs, and scooters. These vehicles are just as capable of being involved in an accident as standard automobiles, which is why most carriers offer the same sorts of protections that come with a traditional policy. Below, you'll find the answers to some of the most commonly asked questions about this unique form of coverage. 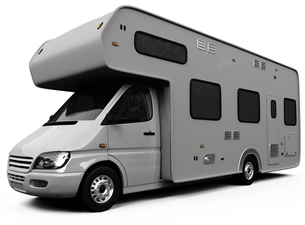 What types of vehicles does RV insurance cover? When carriers refer to recreational vehicle insurance, the policy will typically cover vehicles like motor homes (Classes A-C), campers, and motor coaches. An average auto RV insurance policy will also cover items like travel trailers, which might include fifth wheels, campers, toy haulers, and pop-ups. If I only use my recreational vehicle a few weeks per year, can I buy a policy that will account for that? Yes, in tailoring your RV insurance policy to your individual vehicle and needs, your insurer will ask how and how much you use the vehicle you're insuring. Carriers usually offer a wide range of coverages depending on how you primary use the insured vehicle, such as emergency expense coverage, full-time policies, and vacation liability coverage. Do I have to purchase ATV insurance? Drivers of all-terrain vehicles, or ATVs, often believe they do not need to carry ATV insurance because they have a homeowners policy and/or do not operate the vehicle on public roads. However, most states require ATV drivers to carry insurance if they operate the vehicle on land owned by the state. Additionally, a home insurance policy usually will not offer ATV coverage if you ride the vehicle outside of your insured property. 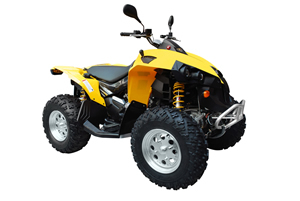 Without ATV insurance coverage, you would be responsible for the repair or replacement of the vehicle if it is damaged or stolen. What types of coverage are available with an ATV policy? You are free to select from a variety of available coverage types when you structure your ATV insurance policy. Most carriers offer the following protections: comprehensive, collision, liability (bodily injury and property damage), and uninsured/underinsured driver coverage. You will also have to set deductibles on your policy to establish the amount of future losses for which you will be financially liable. The cost of all-terrain vehicle insurance can vary considerably according to driving record, claims history, deductibles, coverage types, coverage amounts, ATV model, and the number of ATVs you wish to insure. For a more exact estimate of what your coverage will cost, request a free quote through our site. What will a snowmobile insurance policy cover? Snowmobile insurance offers all the standard protections of a policy, such as liability, collision and comprehensive, medical expenses, uninsured/underinsured rider and so forth. These coverages will help you pay to repair or replace your snowmobile if damaged, protect you financially if you or another rider causes injury or damage with your snowmobile, and protects you from financial losses if you suffer damages from an accident with another rider who is underinsured or uninsured. Certain policies also offer more specialized protections, such as safety apparel, custom parts and accessories, sleds, snowmobile trailers, and windshield coverage if you so desire. Is scooter insurance the same thing as motorcycle insurance? While most carriers include scooter insurance in the category of motorcycle insurance because they are both two-wheeled motorized vehicles, the policies are not exactly identical. For example, scooter insurance tends to be markedly cheaper than motorcycle coverage. Unlike motorcycles, scooters have low-powered gas engines and very small wheels. They typically are involved in accidents less often than motorcycles, which partially explains the price disparity. If you have the year, make, and model of the scooter you'd like to insure, you can request a free quote on the policy of your choice through this site. If I don't drive on public roads, why do I need golf cart insurance? 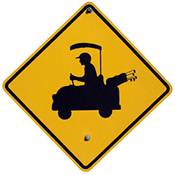 Most golf cart owners restrict their driving to the golf course, their property, or the private neighborhood streets, and golf carts are hardly considered high-speed vehicles. So why bother with golf cart insurance? For one, golf carts can still cause property damage and physical injuries despite their minimal speed and travel distance. For example, if you are driving from your home to the golf course that abuts your property and accidentally hit another cart, damaging it and injuring the driver, you would have to pay for the repairs and the medical bills without a golf cart policy. Likewise, if your cart or custom accessories you've added to it are stolen while the cart is parked in your neighborhood or on the golf course, you would be out the full cost to replace the vehicle without golf cart coverage.